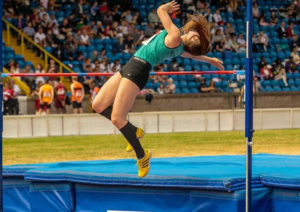 Worksop Harrier Emily Race triumphed in the senior girls high jump at the English Schools Track and Field Championships. The Outwood Academy Valley student won in Birmingham with a new personal best performance of 1.81m and was the only athlete to clear this height. 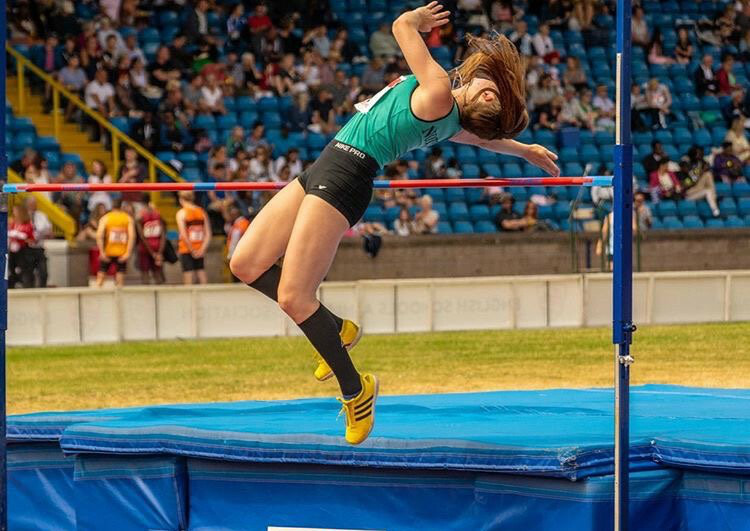 This is Race’s third national title in the past 12 months, having won the English U17s high jump and then gaining an international vest by winning heptathlon at the English Schools Intermediate Girls in September. That performance put her third on the ‘All Time’ list of athletes in this event. In this year’ English Schools competition Race, a first year senior, had achieved the qualifying standards in four events – the 100m hurdles, high jump, shot and long jump but had to choose just one event in which to compete for Notts. She felt her best chance of a medal was in the high jump and, as this competition entered its final stages, this was beginning to look like a very wise choice. Race recorded new personal best performances as she soared over 1.78m and then 1.81m, with first time clearances and, finally, narrowly missing a clearance at 1.84m. She is next in competition later this month in an international event in Swansea.